When the itinerary for the Himachal was planned ,this place had somehow escaped our notice.Saint John in the Wilderness ,the name suggests nothing about the place ..a treasure hidden in the midst of the deodars of the hilly slopes of Mcleodganj.It was only when we set out for Mcleodganj from Dharmashala that our driver insisted that we visit this church. Church...something I was never much interested in..I had visited many in Goa ,Kerala and even in Mysore.At first sight that was just another deodar forest but slowly disclosed this breathtakingly beautiful sight. Built by the British about 2 centuries ago ,this church had survived the earthquake of 1905.The earthquake destroyed the bell tower of the church .In 1925 a new bell was brought from England ,but the bell being too heavy could not be installed in place ,so it lay in the church premises,but soon in a few years time attempts of theft were made for this bell ,consequently this is how the bell can be seen today in the churchyard. 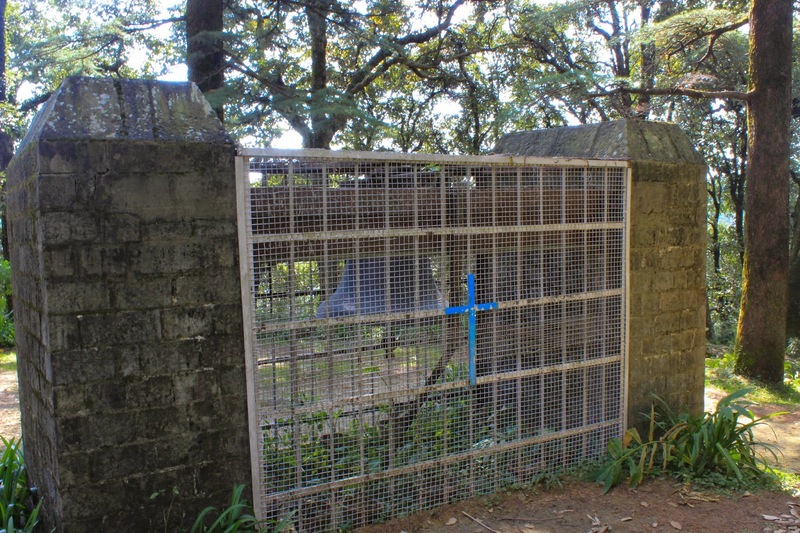 James Bruce the erstwhile viceroy of India was buried at this very place.where the grave memorial now stands in the churchyard..The mortal remains of the.lieutenant general of Punjab Donald Friell McLeod after whom Mcleodganj was named was also laid to rest in this churchyard. 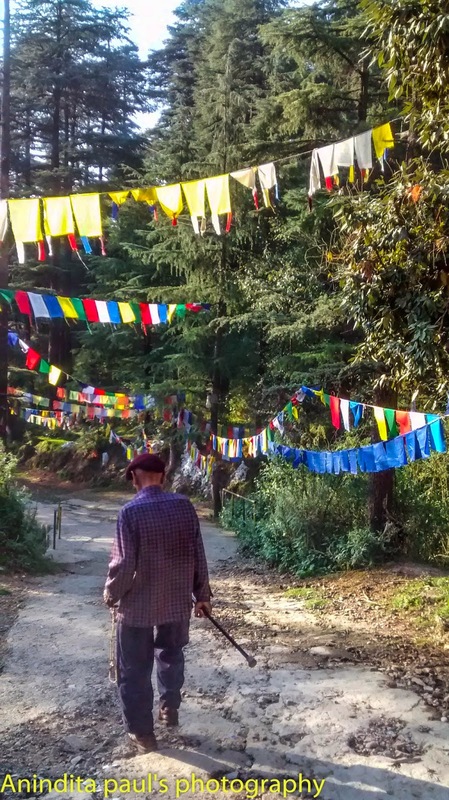 We had already made a fine start to the day with an early morning visit to the church,and now proceeded on the journey uphill ...a quaint small place ,Mcleodganj awaited us a little up the slopes. If I were to describe my first glimpse of this place, I would say it was a rather crowded place,something I have always tried avoiding ,but slowly as I walked down the lanes of this place ,my perception about this place changed as I soaked up the ambience of the place .In my entire trip of the state it was one of the very few places where I came very close with the local people and saw them busy in their daily routine .For once I felt that not many things were designed only for tourists like us ,rather they let us blend into the environment,as life moved at its own pace . I can recall my first glimpses of children going to school , narrow lanes lined with shops selling every possible ware , fair skinned foreigners strolling leisurely around cafes which served Italian pizza or lasagna and Tibetian thukpa or momos with equal ease. 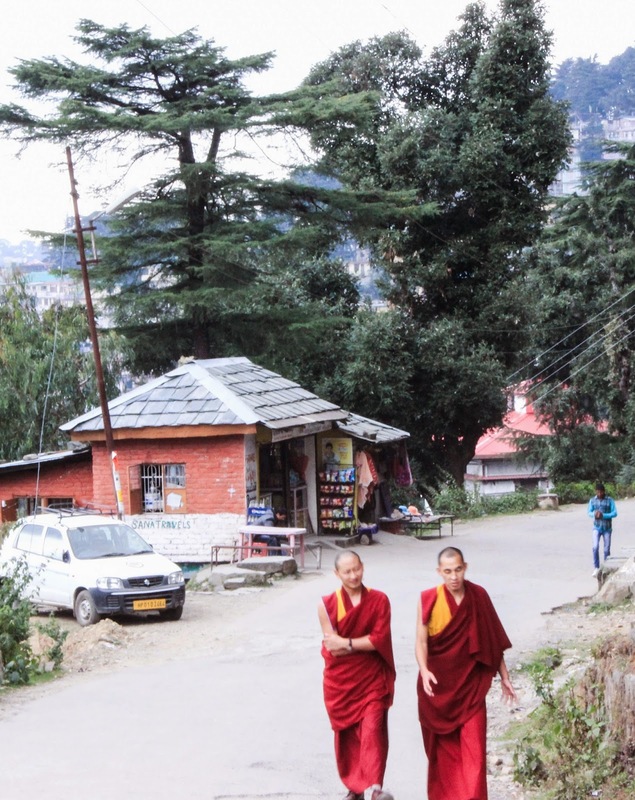 I had visited the church ,and the Bhagsu Nag temple (a shiva temple)a little downhill and now I was about to visit the monastery for which Mcleodganj is so renowned....as we all know this was the seat of the Tibetian government in exile and the residence of His Holiness the Dalai Lama. Amidst all this chaos and confusion which by now I had started enjoying, had I missed out on something ,I guess yes, I know ,I had not noticed that the place which was called little Lhasa was actually a melting pot of different cultures and religions from far and wide. The monastery casts its divine spell on one as one makes the rounds of the different halls with towering statues of the Buddha (photography is prohibited inside the monastery,so could not get pictures).A few words of enlightenment did penetrate our minds if not but for a few moments.As I turned the prayer wheels inside the monastery a lady of Tibetian origin walked up to me and told me a few words...Om Mani Padme Hum...These were the words I should have uttered while turning the prayer wheels.When she saw me fumbling with the words she made it simpler saying "Just say Jai Shri Krishna ,you see it is all the same"......insightful words from plain mortals ..an experience that shall remain etched in my memory forever. 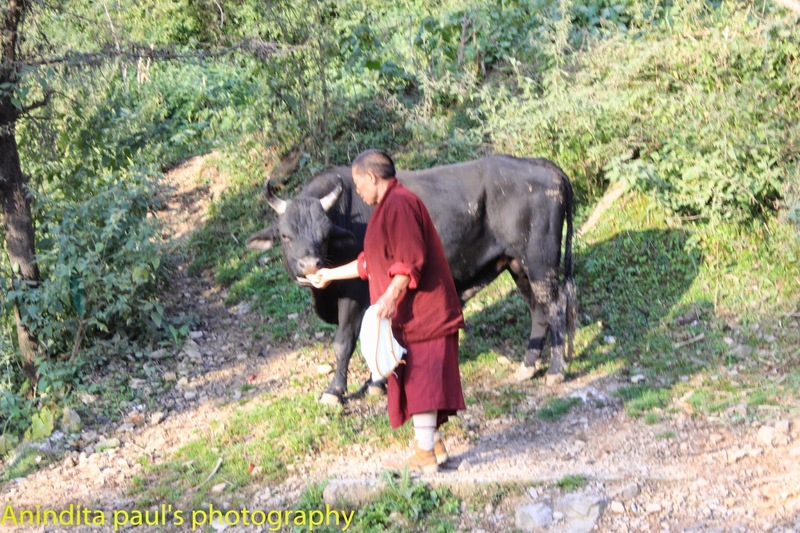 This was a home to the monks who walked past every now and then in their maroon robes,they always seemed to be deep in conversation with their companion. 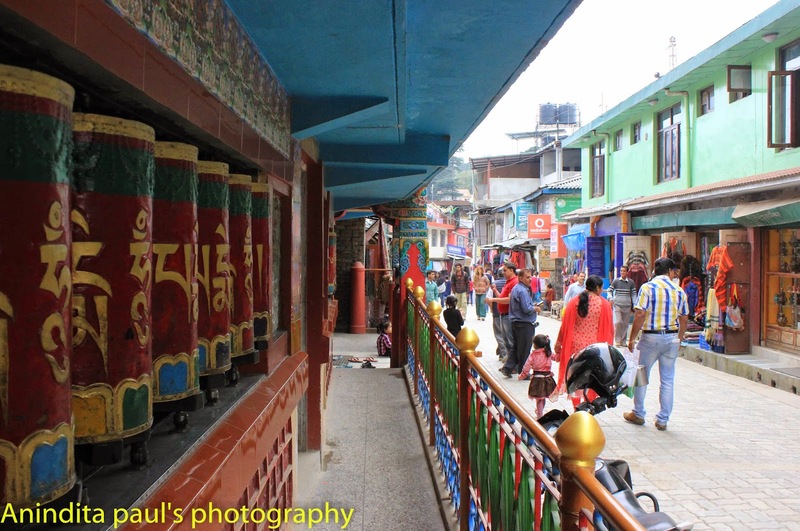 A place where prayer wheels and stupas could be seen even in the market place,and a place where prayer flags were put up to bring luck ,happiness ,compassion,prosperity,longevity and even to bless the surrounding countryside ,brightening up the green landscape in red and yellow splashes. what then could stop the magic of Mcleodganj linger in my mind for quite sometime. 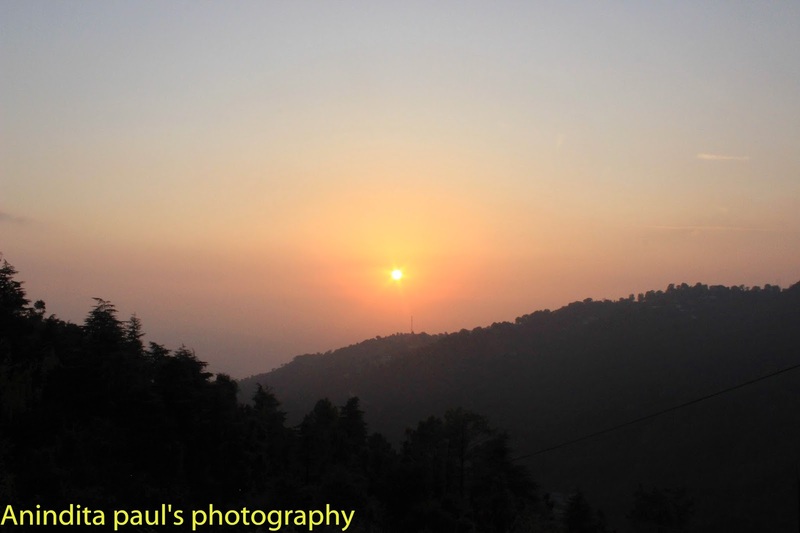 Mcleodganj is located at a distance of & 7 kms.from Dharmashala in the state of Himachal Pradesh .A quaint little hillstation situated little uphill from Dharamashala,Mcleodganj can be reached by car ,in an hours time.The nearest airport is at Dharmashala. 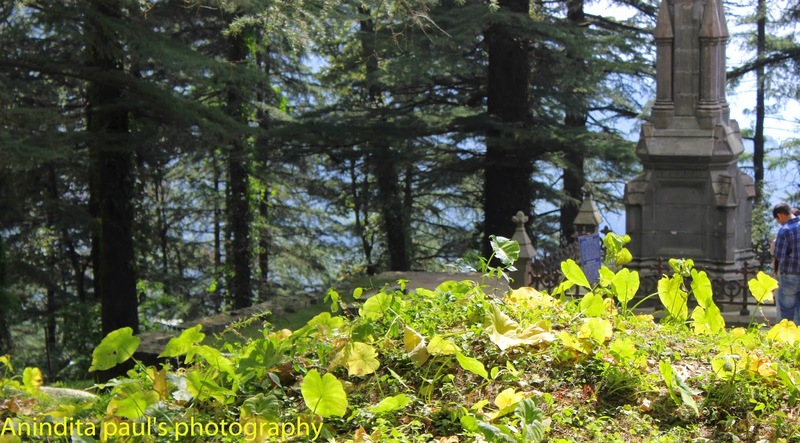 The Dal Lake of Dharmashala and the Church Of Saint John can be visited on the way to Mcleodganj. The Bhagsu Nag temple and the Bhagsu Falls are the major tourist options from here. Mcleodganj has many mid and high range stay options .One need not drive back to Dharmashala the same day ,instead can spend one night here.The food as said above, varies from Tibetian to French. Situated only 10 kms from Triund , Mcleodganj is also a trekkers paradise. Sorrounded by the snow capped Dhauladhar ranges, Mcleodganj presents a very unique character that can be comprehended only when experienced. Very nice blog post. 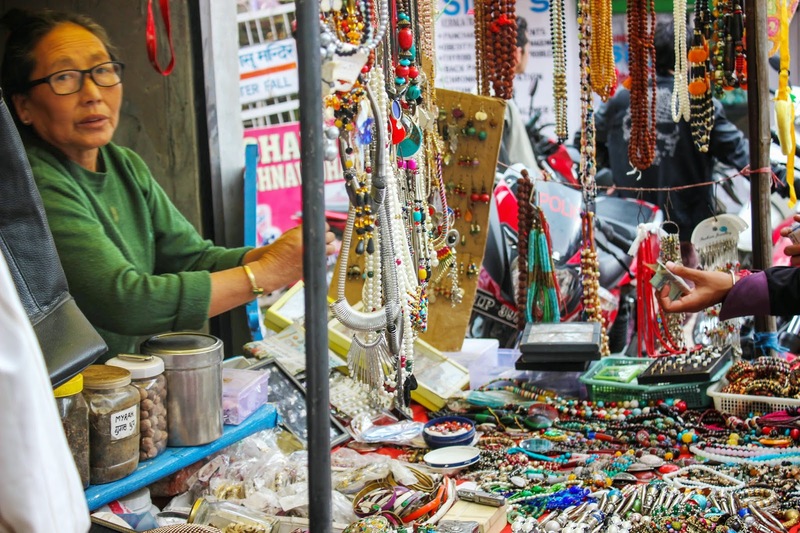 Apart from St JOhn in Wilderness church, some of the major places to visit in Dharamshala include Tsuglagkhang Complex, Tibet Museum, Bhagsunag Fall, Dharamkot, Kunal Pathari, and Naam Art Gallery. Thank you so much ,Anjali,we visited the Kunal Pathri temple,but missed many of the rest due to time constraints,may be on a later visit. Sarahan (Kinnaur Valley)---Why you should include it in your itinerary.